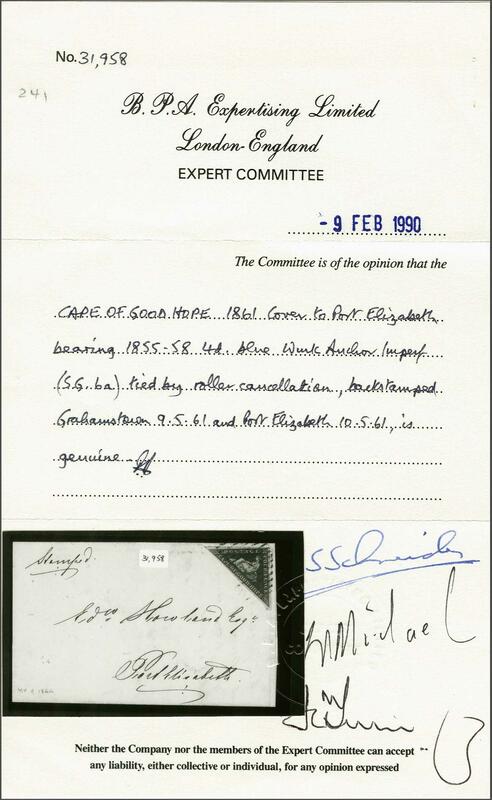 1855/63: 4 d. blue on white paper, a used example with clear to large margins, used on 1861 cover endorsed 'Stamped' to Port Elizabeth, tied by rare horizontal barred roller handstamp of Grahamstown. 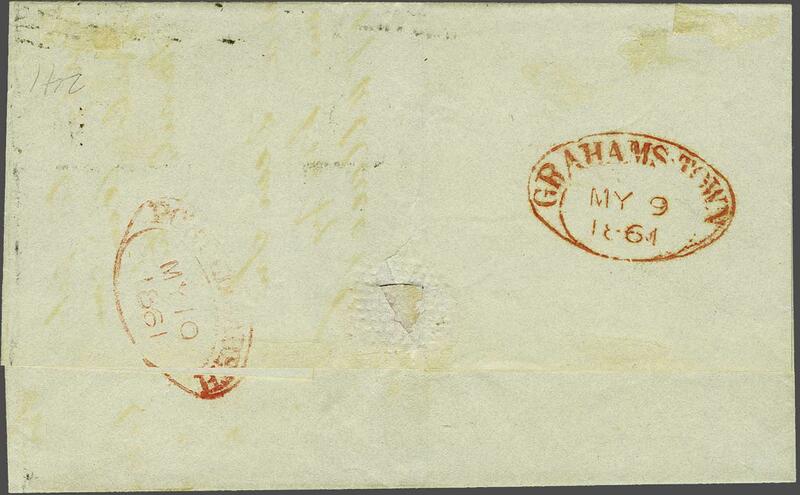 Reverse with oval framed GRAHAMS TOWN despatch datestamp in red (May 9) and PORT ELIZABETH arrival in red (May 10). 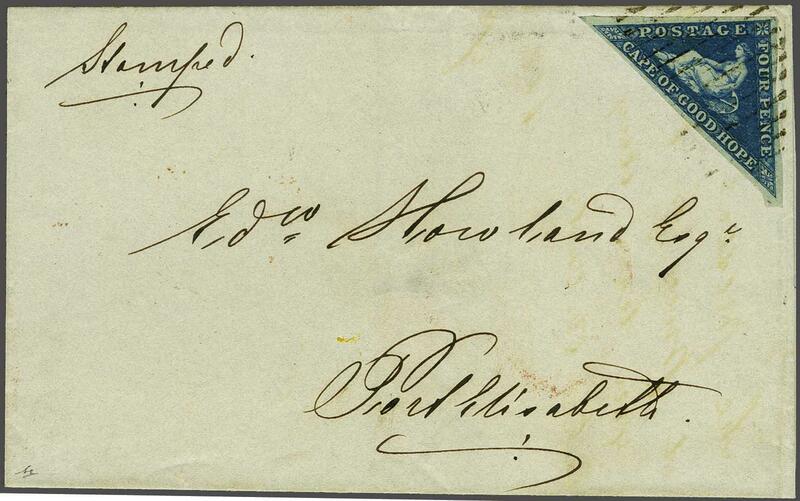 A fine and very rare cover. Cert. BPA (1990).rnrnProvenance: Collection Dale-Lichtenstein, Harmers, Nov 1989, lot 241.